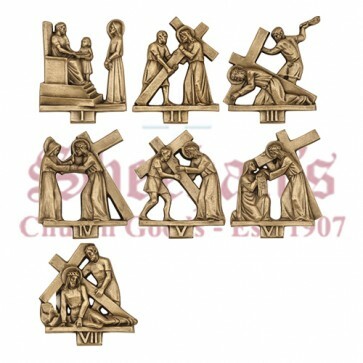 Station of the Cross in bronze finish. 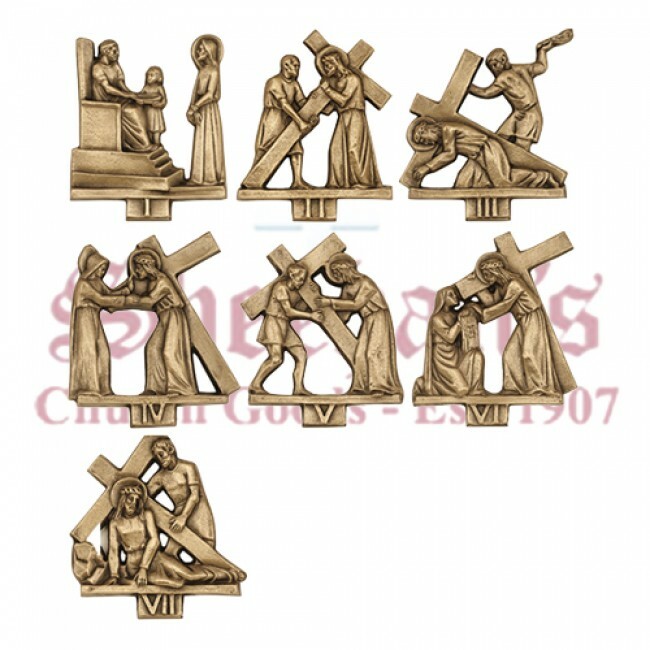 Stunning 14 bronze Stations of the Cross, average height 7" and width 6", figures are solid bronze. Good for outdoor and indoor use, easily distinguish details, superior craftsmanship, available in 24K Gold Plate. This magnificent set will make a great, long lasting gift for the church.